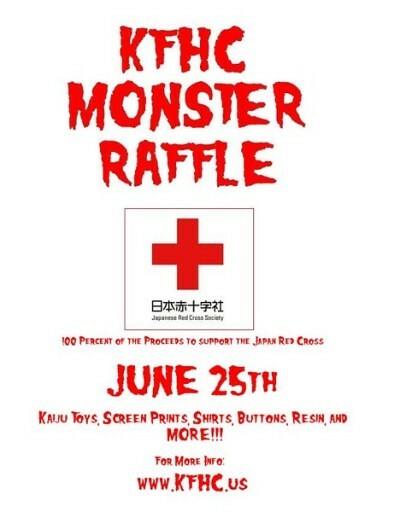 KFHC is doing an online raffle to raise money for the Japan Red Cross (6/25). 100% of the proceeds from this raffle will go directly to the Japan Red Cross!! Raffle tickets to go on sale June 1st @ http://kfhc.bigcartel.com/ They will be $5 a piece. Drawing will take place on June 25th (winners will be notified via email and prizes sent out shortly after). More prizes to be announced!! !